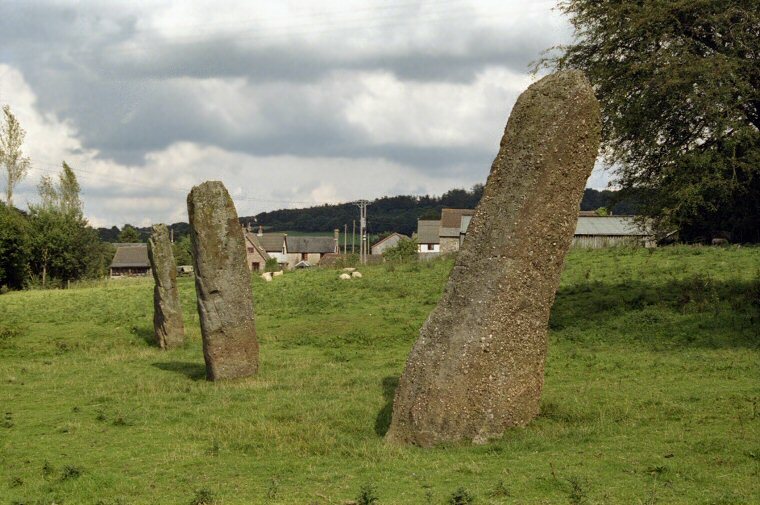 To the southwest of the village of Trellech are three large standing stones in a 12 metre alignment, all the stones are leaning at angles - it is unlikely that this is deliberate but more likely to have been caused by being poorly erected or land subsidence. 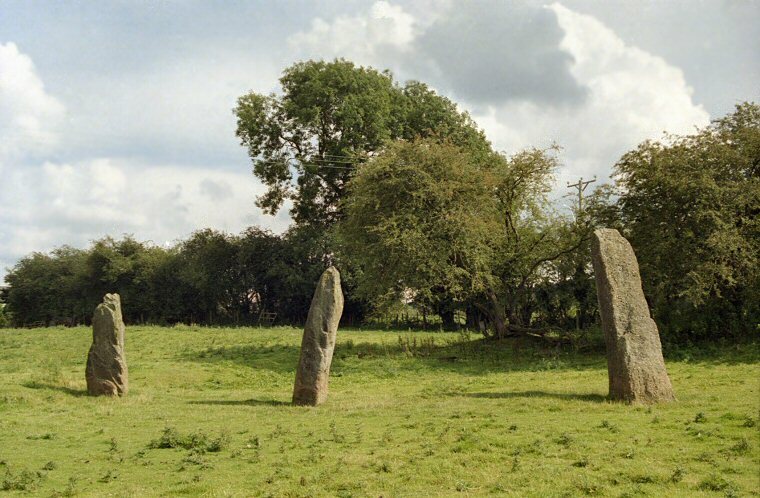 The heights of the stones vary, the tallest (and also the one with the most pronounced lean) is over 4 metres in length while the other two measure around 3.5 metres and 3 metres each. What the original purpose or symbolism of the stones was is unknown, as with many other stone alignments, but it could be that they formed part of a much larger ritual area that has either been destroyed or yet remains to be recognised. An indication of significance of the row was recognised by the church though - the stones are depicted on a 17th century carved stone sundial inside the chapel and a wooden church is known to have existed at Trellech (meaning either 'village of stones' or 'three stones') as early as the 7th century. The stones of course have legends attached to them. One says that they landed here after a throwing competition between the Devil and the giant Jack O'Kent. Another says that their name commemorates a battle won by King Harold.